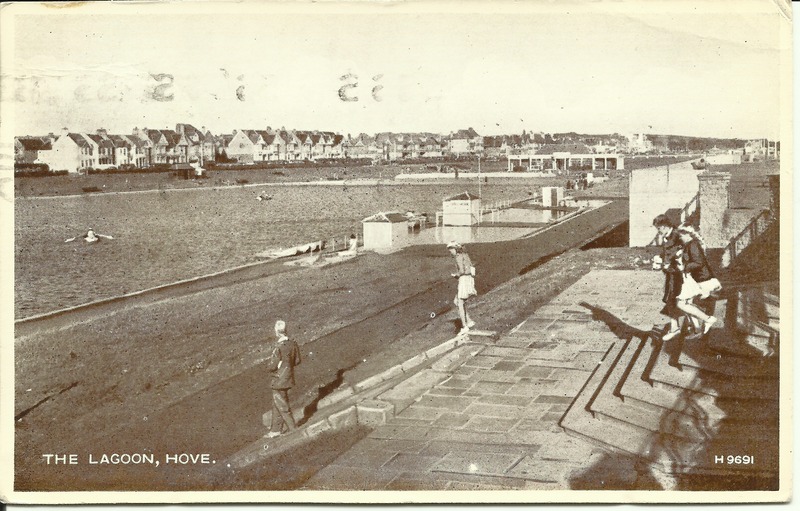 Yesterday I wrote about the site of Hove Lagoon, and the building of it in the 1920s. Today I will look back on my own childhood memories of this lovely park. As well as boats, there was a train situated here. I don’t remember it, but some old photographs have proved my memory to be wrong. I do remember riding on this train, I just always thought it was located somewhere else, further along the seafront in Brighton. When I saw the second photograph below on another website I decided it looked pretty much the same as the top photograph of me. 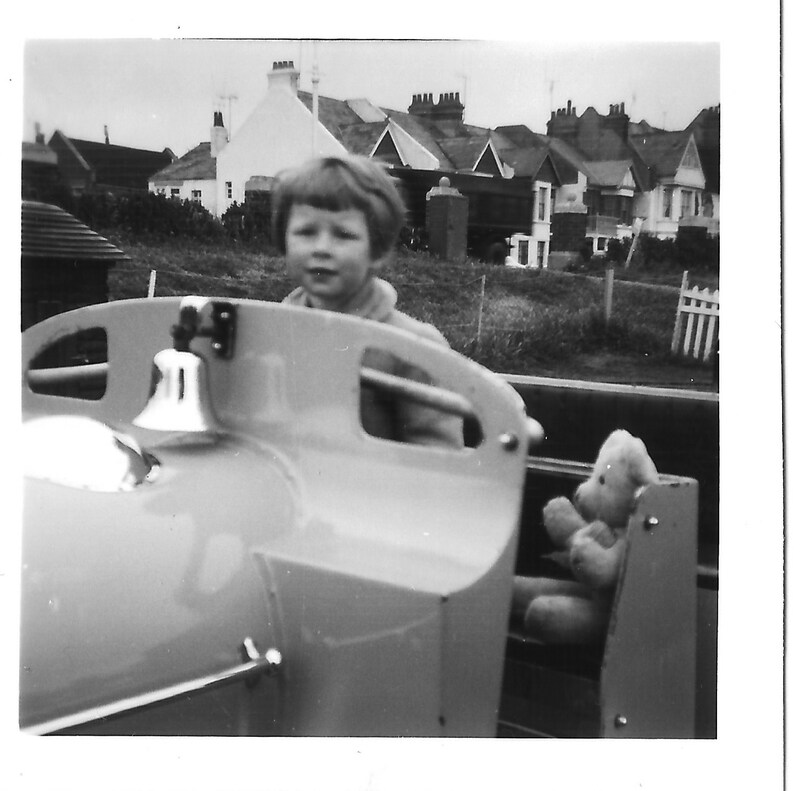 Here I am, I remember on this occasion I was a little anxious because I thought I was actually driving the train! Good to see Gregory with you on the train! 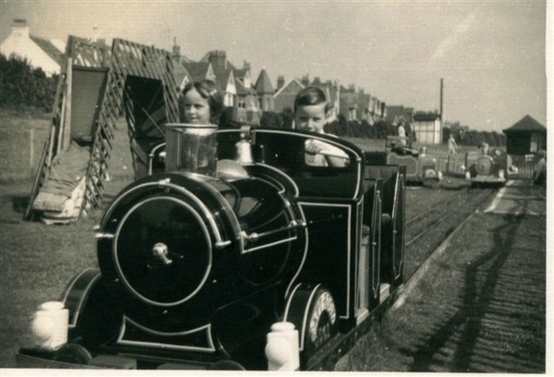 Thank goodness he was there – I was far too young to be allowed to drive a train on my own! These are great pix, Jackie!